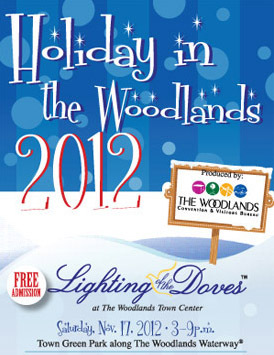 On Saturday November 17th, kick off your holiday season with The Woodlands Convention & Visitors Bureau at the 30th Annual Lighting of the Doves Festival featuring the arrival of SANTA CLAUS, Live Music, Ice Carvers, Snow, Kid’s Activities and much more! 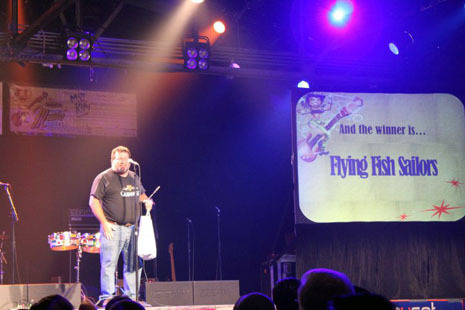 The Flying Fish Sailors will be performing from 8:00 p.m. – 9:00 p.m on The International Stage. The Festival is in conjunction with the annual International Winter On The Waterway (iWOW) which will add an international flavor to your holiday celebrations in The Woodlands, Texas. Admission is free! C’mon out and get in to the Christmas Spirit with the Flying Fish Sailors! ARRRR! More information can be found on their Web site. 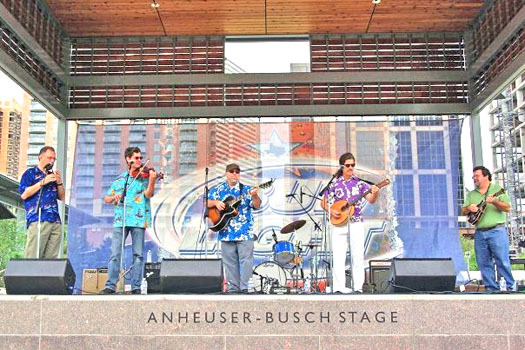 Flying Fish Sailors – LIVE @ Discovery Green! The Flying Fish Sailors will be performing at Discovery Green Park in Houston, Texas. The show is outdoors, all ages and FREE! The show is on Thursday, Oct. 18th and The Fish will be playing a 45 minute set starting at 6:30 PM which will be followed by the polka antics of Grammy award winners Brave Combo! We don’t play live so much these days, so don’t miss this rare opportunity! Please spread the word and we hope to see you there! The Flying Fish Sailors will be performing from 1-5pm on the Kemah Boardwalk for St. Patrick’s Day. Admission is FREE! Loch Ness Monster now on iTunes! We had a great show at Houston Via Colori on Saturday. Thanks to Elaine Mesker-Garcia (aka cybertoad) for taking some photos! More in our gallery here. 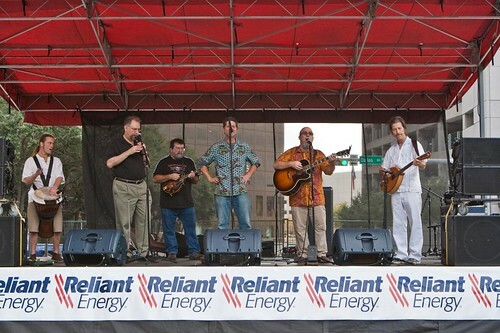 The Flying Fish Sailors will be performing live at the 2010 Houston Via Colori Festival on Saturday, Nov. 20th at 12:00 noon! It has been awhile since we have performed so this is a GREAT opportunity to come out and see us AND see a bunch of really cool art being created on the very streets of downtown Houston. Admission is free and it is an all ages, family friendly event. 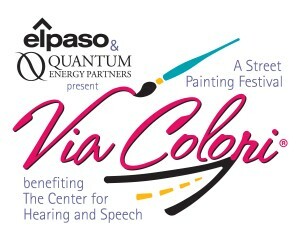 Via Colori takes place on Allen Parkway (Lamar St.) and Bagby St. surrounding Sam Houston Park in downtown Houston. The FFS are dusting our dusty, crusty old classics for your listening pleasure. We’ll also be joined by the one and only Jim Bedinghaus on hand percussion so it promises to be a very lively set! For more information please visit the 2010 Houston Via Colori Festival Web site! Recently we unearthed a CD containing some live recordings of the band performing at the 2002 St. Patrick’s Festival at the old Garden In The Heights. The Fish were joined by our friend Tim Vorick on the drums and legendary hammer dulcimer player David Clauss of Celtic Stone fame. Thanks to all of our fans who voted in the 2010 Houston Press Music Awards! We took home the trophy for Best Folk! 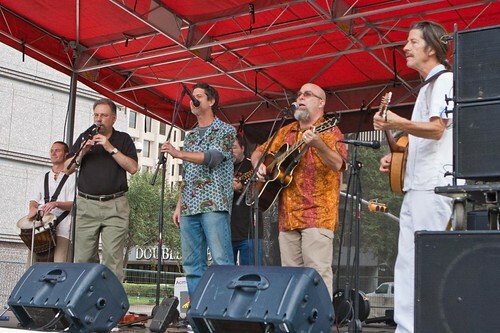 The Flying Fish Sailors have been nominated for the 2010 Houston Press Music Awards! Please take a moment and go to the voting page and cast your vote for the Fish in the Best Folk category, we’d really appreciate it!